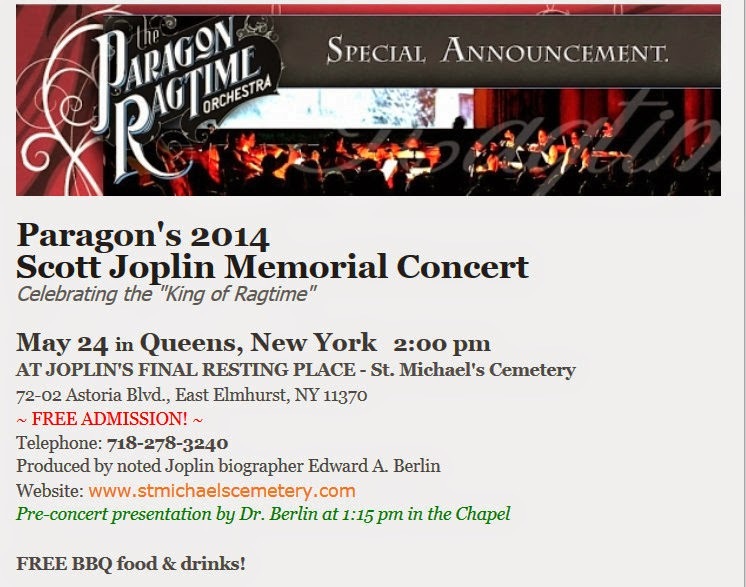 Please join the Paragon Ragtime Orchestra and conductor Rick Benjamin as they celebrate the rich musical legacy of SCOTT JOPLIN (c.1867-1917) - with a very special performance of his music given just steps away from the composer's grave in historic St. Michael's Cemetery. This deeply moving annual event draws music lovers and Joplin enthusiasts from around the world. We look forward to seeing you there this year!